Full Rimless Frames or (drill-mount) Add-On. [Add $39.95]*Select this option if your frames or glasses are rimless (no frame around lenses or drill mount) & you DO NOT want anti-glare (AR). These frames require special lab processing. Progressive Digital (Trivex - Super Sharp) no-line bifocal lenses. Freeform HD digital technology lenses are a premium offer. Note, Trivex material is a premium offering which is stronger, lighter & provides crisp vision compared to other lens materials. Soft design offers distortion free vision distance & near for easy adaption. All lenses include free scratch guard & UV protection, with perfect mounting into your frame. Adaption guarantee comes with these lenses. Every job is completed and verified by licensed opticians at our USA lab. Compared to: $519.00 retail. Don't forget anti-reflection (AR) coating treatment...just add to Cart before Check-out. -Designed by SEIKO *We offer a worry-free redo if needed. 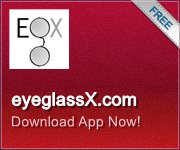 TRIVEX lenses include a free 2 year "Super Tuff" breakage guarantee. *Remember, ordering lenses is easy. If your frames don't have old prescription lenses...Just email us a "selfie" photo with your frames on (see your order confirmation or email). *Note Lens Rx with high cylinder, greater than +/- 2.00, may incur added charge. Wanted to pass along that I have enjoyed doing business with you. I purchased 2 sets of new prescription progressive lenses for two frames that I had and now have 2 pair of glasses with my newest prescription, for less cost than one set of lenses would have cost locally at the discount store. Thank you. And I will be a repeat customer and tell my friends and family about your business.